We’ve Got The Latest Trailer For ‘Finding Dory’!!! We’re getting so close! 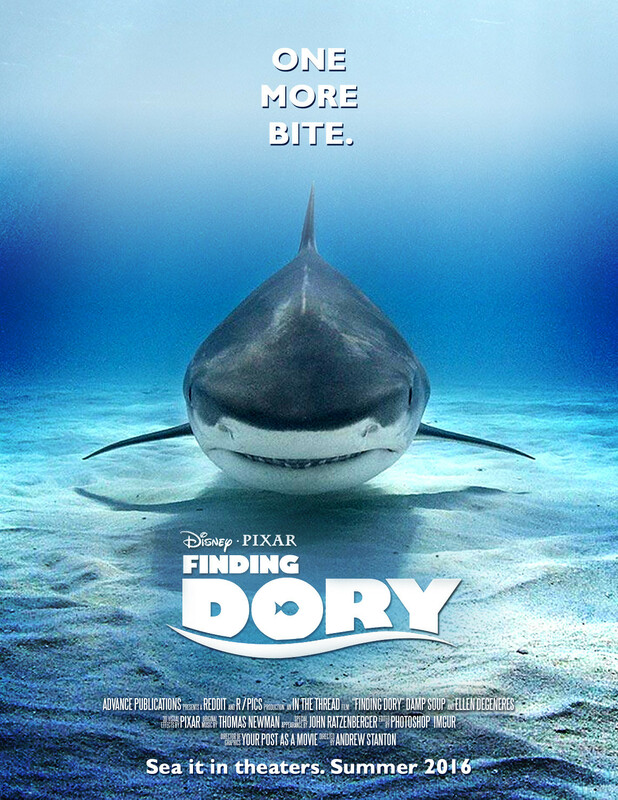 We only have a few more months until the debut of ‘Finding Dory‘ in theaters everywhere, and June 17, 2016 is the magic date, but Disney has shown mercy on their legions of fans by giving us a new trailer today!!! Ellen DeGeneres is still hilarious as the forgetful blue tang Dory and she’s back with her friends Nemo and Marlin (Albert Brooks) as she searches for answers about her past that, of course she’s forgotten about! Spoiler – Dory can actually speak whale!!! Check out this exciting trailer from director Andrew Stanton (‘Finding Nemo‘) with additional voices provided by Ed O’Neill, Ty Burrell, Eugene Levy and Diane Keaton! Enjoy the Trailer for ‘Finding Dory’! This entry was posted on Wednesday, March 2nd, 2016 at 12:51 pm	and is filed under Film, News. You can follow any responses to this entry through the RSS 2.0 feed. You can skip to the end and leave a response. Pinging is currently not allowed. « Film Review: ‘Whiskey Tango Foxtrot’!